Do faith and work mix? This was a question I longed for an answer. How can someone fulfill their life purpose without including their faith? That completely embodies your entire life. How you act on responsibilities, communicate with other people, and provide service stem from what you believe in. I took a long break from my blog because I was stuck… spiritually stuck. I want to help others but something was missing and I lost my blogging ‘groove’. I also felt extremely sick going back and forth to different doctors. With this break, I took time to reflect what I really believed in and started studying like never before. I wondered if I was truly working with faith and purpose or was I just going through the daily motions. 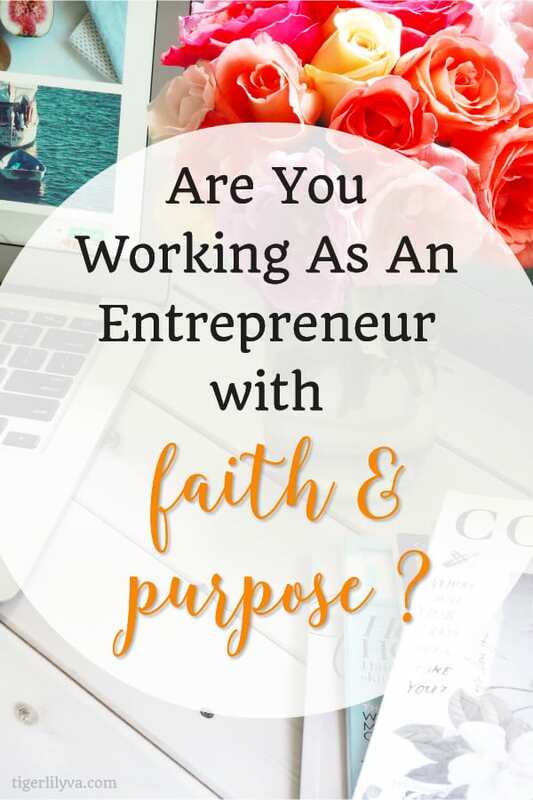 Are you Working as an Entrepreneur with Faith and Purpose? As I was going through this funk, I found a person who had the same beliefs as me but much more mature spiritually. I was excited to learn from her! Her name is Chamel Evans and I’m not even sure where I met her virtually, perhaps a Facebook group, but I know now God has placed her in my path. There are no coincidences in life. That has been my biggest lesson. I joined her Facebook group called sheillumininates and we did a group bible study called Discerning the Voice of God. It changed me! I learned how to have a relationship with God that matters and allowing myself to live in obedience. I encourage you to try the bible study, it really is life-changing if you do the work. If you’re not a Christian, I encourage you to open your mind to why the universe or powers-that-be brought you here. There is a reason for everything and you might find some enlightenment with this post. No one knows how to bring faith and purpose into entrepreneurship more than Chamel. I had the pleasure of interviewing her so you can learn more about what she does and how she helps people like me. Read the interview here (more details about Chamel in the written interview below), listen to the interview below or watch the video interview at the end! My brand fuses Biblical truth with creative application to help women live anchored in their faith and illuminate their God-given power of influence in their homes, careers, businesses, and communities. I empower Christian women to live out their truest authentic selves, love and influence those in their circle with grace, and break free from mental roadblocks through faith-infused mentoring and design, encouraging products, and actionable resources. I’m on a mission to change the lives of women – their atmospheres, attitudes, and hearts for the Glory of God. It’s all about celebrating our faith journeys, lives full of faith & massive influence — on God’s terms. 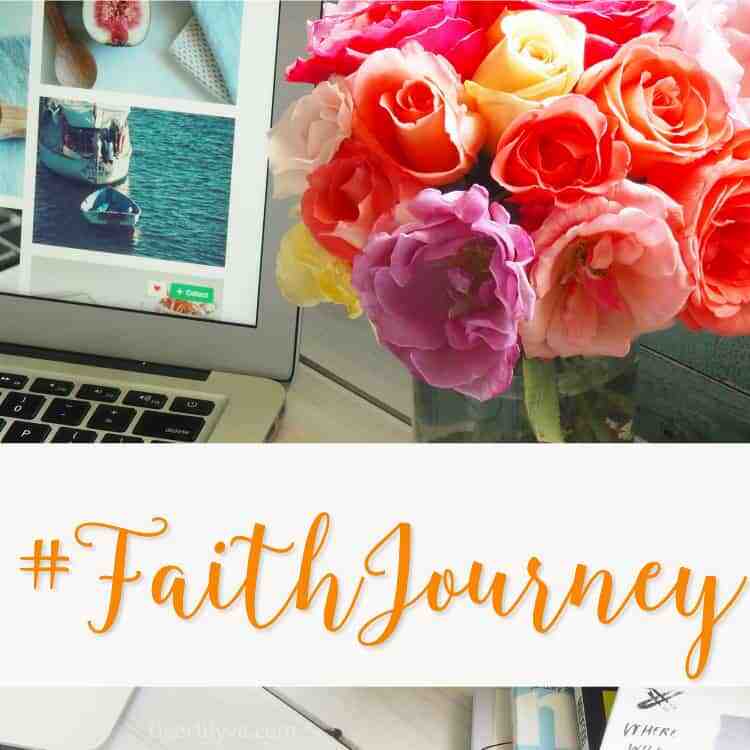 This mission was birthed from digging deeper in my own personal faith journey when God started pruning away at some emotional and mental strongholds and showing me the importance of a strong faith core. It allowed me to see that the freedom and the abundance I so desired wasn’t going to happen until I got real honest with myself and truly surrendered to all the messiness that was going on and just embraced where I was. God wanted me to truly experience walking in victory and to help others do the same. But I had no idea that he was going to use me as a beacon to share His light with other women with the same struggles. Christian women (wives, mothers, creatives, and entrepreneurs) who seek clarity, accountability, and strategy to grow in their spiritual walk, overcome mental roadblocks, and chase their calling with fire. My big goal this year is to simply steward and walk in obedience to what God has called me to do this year in my home ministry, work, health/wellness, business, and at church. It’s all about being focused, intentional, and embracing the journey. Do you feel satisfied with yourself on a spiritual or purposeful level? You know…I’m content at where God has me, but the other part is that I’m never satisfied because I’m striving daily to grow deeper in my revelation of God and truly walk in His truth and my purpose. I’m on a journey and I’m learning to embrace the growth, stretching, and pruning because God has called me to His abundance and overflow. So I’m not going to stop working but continue to celebrate the process and expect greater. www.chamelevans.com or on social media with handle @chamelevans. Do you live and work with faith and purpose? What do you think about using your faith in business? Are you comfortable with opening yourself up to having a relationship with God with all things in your life including work as an entrepreneur? I know I have a lot of questions for you but these are serious life questions. If you’re a Christian and you’re feeling distracted with so many trials in life that you’re drifting away spiritually from Jesus. Please chat with Chamel. Remember when I said I stopped blogging for a while. I now have a new mission for this blog, learn more on my About page. This is an excellent post and interview. We so many times start out with these good God intentions and get sidetracked. We must keep in the presence of God daily… moment by moment. Do we always do it, no. I agree with Mrs. Evans.., we must “Step up, and be a beacon of light.” Thanks so much for sharing this interview and post. Thanks so much for your comment. You’re absolutely right, we must be in the presence of God daily. So glad you liked this interview with Chamel Evans! She’s a wonderful faith mentor. Such a wonderful post and interview with both of you sharing your journey’s and how you do help people and plan to help people; Christian or not. I had my own “wake up calls,” if you will about 7 months ago and I am following the Word of God and keep Jesus in my heart every day and night. So many changes have taken place and I praise Jesus for all of it. I consider BG Jenkins my sister in Christ and now I have another sister in Christ. So happy to see you here. Isn’t it amazing what God can do to change our lives?! I’m so thrilled that you have Jesus in your heart. I’m honored to call you a sister in Christ. Praise Jesus! I enjoyed your article. Thanks for taking the time to write it.